Washington has been a emotional mess this season. It was thought that the Skins failed to play well against Philly in week 1 because no one had seen the offense of Chip Kelly. That was not the case apparently, as Washington just did not really have an answer for a Philly team that has been less than impressive in several weeks on defense and seemed to have been found out quickly with their offense. The game started the way so many have for Washington this season, but with one key difference. The offense actually was able to move down the field. 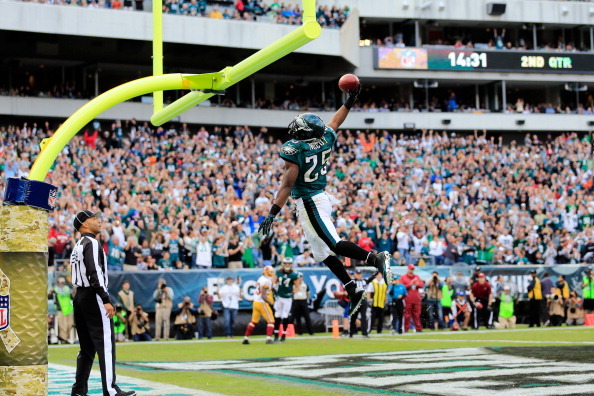 The running game seemed like it was poised to eat up the yards against the inconsistent Philly defense. The first quarter was more of the same, though Morris did have a few good runs. The second quarter gave a continued feeling that the run game could be the answer against Philly. Instead, the plays that took center stage included the limited RGIII dropbacks for passes and the fumble near their first opportunity to score with the team already down 14-0. Philly finished the half with a field goal and a 17-0 lead. The second half started out as much of the same between the run game and limited success passing, but the fourth quarter was another story. Philly had scored on their first drive of the second half, but then the Redskins defense woke up. Down 24 points, they did not allow another point for the remainder of the game. 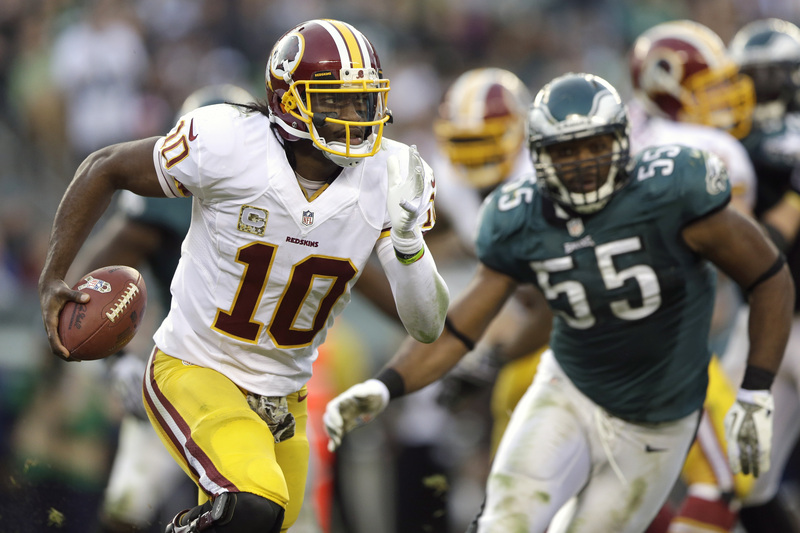 This allowed RGIII to finally get the offense going in the fourth quarter. Though they failed to complete a 4th & 1 at the start of the fourth quarter, the next drive started and finished on a 62-yard pass to Young for the first score and a 2-point conversion. After another defensive stop, the offense was clicking again and scored on a 41-yard pass to Robinson and another 2-point conversion on the legs of RGIII. Down by only 8 points, Washington ended up with 3 minutes and 26 seconds to drive down the field, score again, and get another 2-point conversion. Driving down to the Philly 18 yard line, RGIII threw a horrible pass and was picked off on a third down play with 24 seconds left. There was a chance to throw the ball away (which RGIII said he was trying to do), but the game was over on a Foles kneel down. The surge in the fourth quarter continued the trend of the offense’s and defense’s failure to start the game in the first half but get a groove too late. The season is essentially over unless the team can pull off a 6-game run and a few other things help them along the way. If the team focuses more on the run, they have a chance. Teams are struggling to stop Morris for any elongated period of time. When the team is behind, they have a chance to come back from the brink (but maybe not as deep as this game). The defense can pick up the pace when they are forced to. The team is just absent through the first three quarters or so. There is no reason whey other teams can play aggressive to start but Washington has to sleep through the first half. The play-calling continues to be abysmal. It is clear that RGIII is getting frustrated with the Shanahans and his blocking and his receivers running the wrong routes. But it is RGIII as well. He has been making odd decisions this season that did not happen in his rookie year. The INT at the end is a great example of this problem. The Bills rampaged the Jets and ravaged Geno Smith for 3 INTs in their 37-14 win. Baltimore and Chicago were delayed by the rain, but it was the Bears that forced overtime and grabbed the field goal for the victory. In a divisional battle, the Bengals outplayed the Browns to maintain first place in the AFC North. Pittsburgh surprised the Lions with a solid performance by Roethlisberger and his 4 TDs. Atlanta is no longer looking like a possible contender, as rookie Rainey made TB look like they could battle the Saints and Panthers for the NFC South if they did not start the season 0-8. 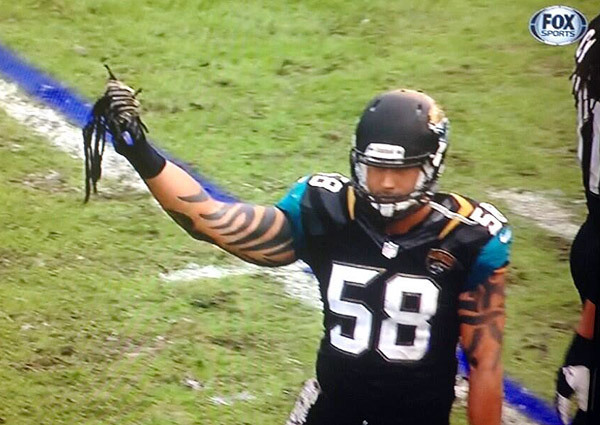 Arizona prevented Jacksonville from pulling another upset but could not prevent Babin from pulling out Ellington’s dreads. Oakland helped to fuel the outrage on the Houston sidelines behind Matt McGloin’s 3 TDs. Miami stunned Rivers and the Chargers with a mostly mediocre effort, pulling back to a .500 record. New Orleans is contending for a playoff run while the 49ers are moving backwards and are now tied for 2nd in the division with the Cardinals. The Giants continued the beating of the Rodgers-less Packers for their 4th win of the season. Seattle is another team that looks like a contender behind their 1-loss record and easy management of the Vikings. The Colts outlasted the Titans behind running game of Donald Brown and game management of Andrew Luck. Denver and Kansas City had their long-awaited matchup, leading the the Chiefs suffering their first loss with only 1 Manning touchdown. Carolina continues their improvement campaign behind their defense and the rising Cam Newton (with 3 TDs). The Patriots continue to suffer from a host of questions about their receivers and uneven rushing game.